According to Marks & Spencer, China Blue is a luxuriously scented skin concoction infused with the moisturizing benefits of shea butter. This lotion has always been a part of my arsenal of skin care products for many years and I’m glad I got a chance to grab a bottle while we were in Manila 2 weeks ago. 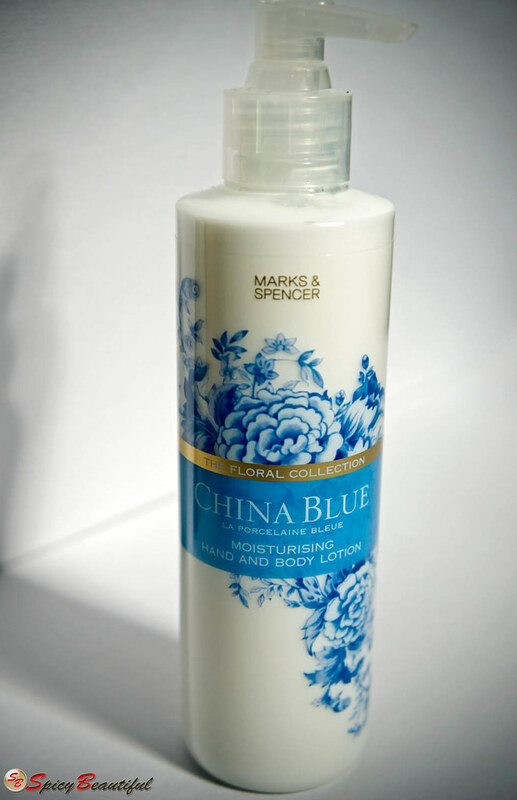 China Blue Hand & Body Lotion by Marks & Spencer (Php 395.00) evokes the scent of clean fresh linen and I can attest to that. This lotion opens with a watery accord that smells very fresh and invigorating. Give it several minutes to get absorbed by the skin and you’ll get a citric powdery trail that smells very comforting. From the very start, I know that the lotion claims to have shea butter in it but I find that this lotion is not that moisturizing. There’s absolutely nothing “shea-like” or milky-esque about it in terms of smell so I can only wonder where the shea butter ingredient has gone. You might be wondering why I’m still using and why I still keep purchasing this product when it doesn’t exactly deliver its claims. 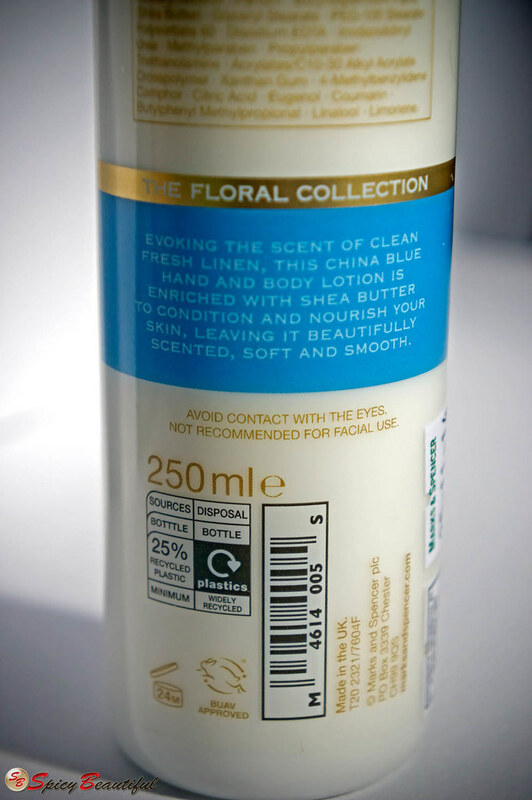 To be honest, even if the China Blue Hand & Body Lotion by Marks & Spencer falls short in terms of skincare benefits, I find it very difficult to let go of its beautiful and gorgeous scent. In order to downplay the products’ below-average performance, I just treat it as a regular perfume lotion. In all fairness, it blends well on the skin and gets absorbed really fast without the greasy after-feel. When I wear this lotion, I don’t feel like wearing any cologne or perfume anymore since it already smells phenomenal. Its rich and powdery scent stays close to skin for many hours. Let the buyer beware! Do you check the list of ingredients before buying any body care products? Not the brand name and the advertising of it makes a body care and beauty product great. Phyto is one of the main hair mind marks in the situation that has presented a particular line of hair care items with a specific end goal to treat and settle a wide range of hair, from dry hair, ultra dry hair, and shading treated hair to slick, fuzzy, and wavy hair.